Carabiners might be my favorite dog walking tool of all time. Why? Because no matter what equipment you use to walk your dogs – accidents happen and equipment fails. I’ve seen dogs slip their shoulders out of Easy Walk Harnesses, whip their heads out of Gentle Leaders, back out of collars, and prong collars pop wide open. And when that happens…your dog is loose. Yikes. That’s where carabiners come in. 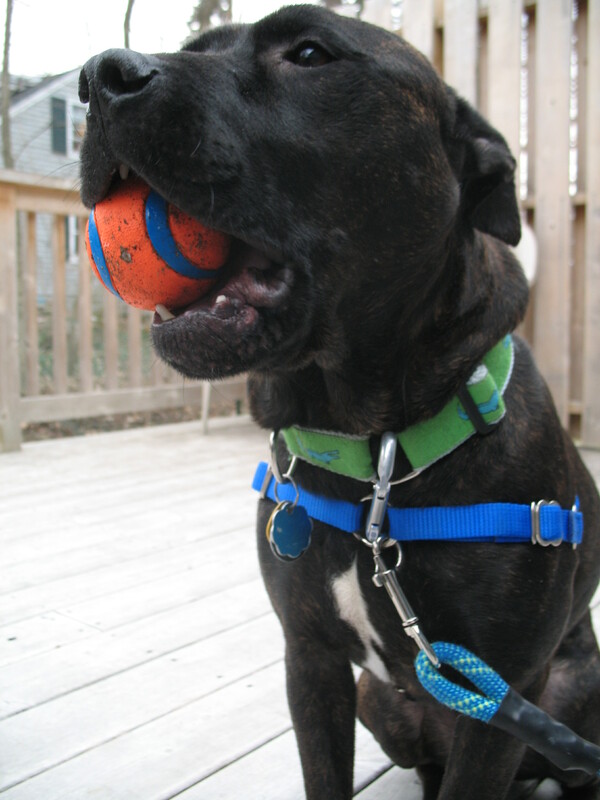 If you slap on a ‘biner, that failed equipment will still be attached to something else on the dog’s body (usually a flat collar) and your dog will still attached be to you and the leash. Carabiners are rad little dudes. Connect the leash to your belt loop or around your waist (it’s an extra layer of protection if you ever drop the leash when your dog decides to break dance at another dog). To be more specific: Slide the carabiner through the ring on your dog’s flat (or martingale) collar and through the ring on whatever piece of equipment they are wearing, let’s say: the front ring on a body harness. Attach your leash as you normally would to the front of the harness. 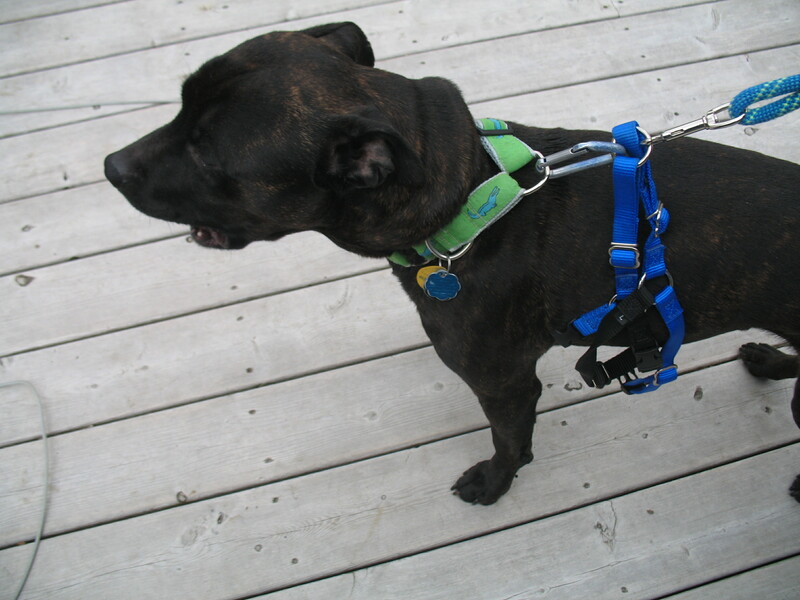 Now, if the dog gets out of the harness: your leash will still be attached to the harness (now dangling loose), because it’s attached by the carabiner to the flat collar. So your dog will suddenly have an extra few inches of “leash” in that failed harness, but ultimately, you and the leash are still attached to the dog via the carabiner clipped to the flat collar. If a carabiner doesn’t work with your equipment or you don’t have one on hand, at a minimum, you can try clipping your leash to both pieces of equipment. 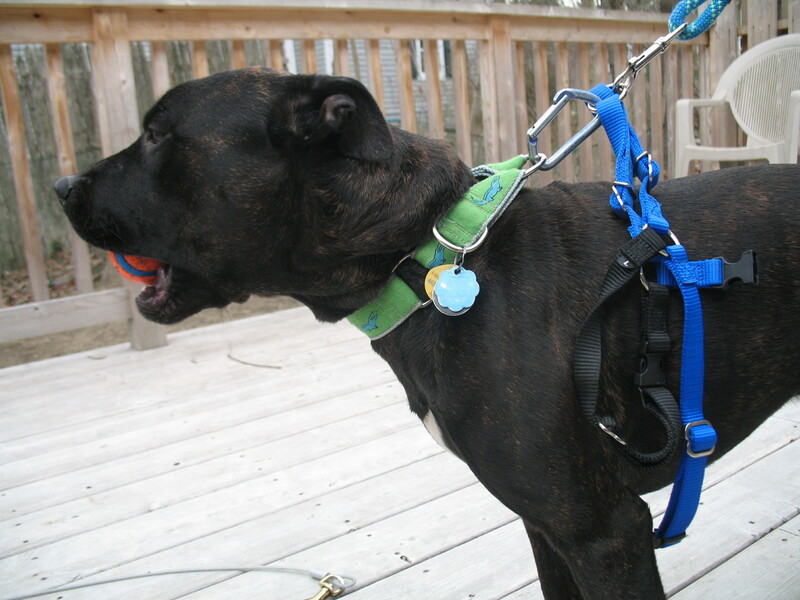 You can even buy a leash with a built-in carabiner from Ruff Wear. So head over to a camping store and buy a good one – spend a few bucks – and it will last you forever. I have a lucky carabiner that I’ve been wearing for 14 years. I’ve lent it to people during dog training classes and afterwards, chased them down the street to get it back. I mean business when it comes to my biner. 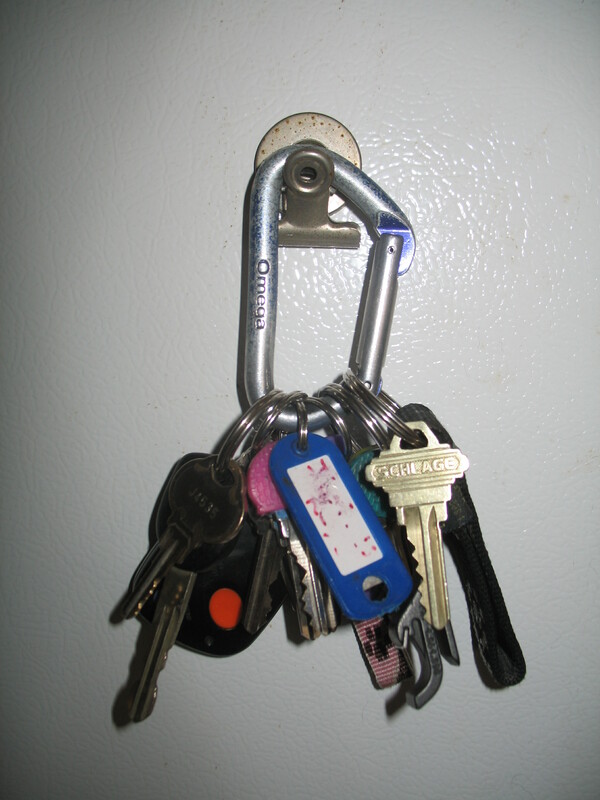 *Team DINOS fan tip: choose a carabiner that locks (like the one on the Ruff Wear leash) for an added layer of safety. Thanks Rachael M.! Happy and Safe Dog Walking Everyone!